Most people don’t have the time to take care for their lawns and if this is the case with you rely on our gardeners do the work. They are skilled qualified and experienced in providing excellent lawn mowing in the Balham, SW12 region to property owners. Our staff use state-of-the-art equipment for cutting and trimming lawns that ensures fast and effective work. 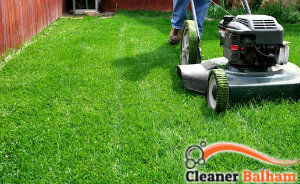 They have the skills and mowers to carry out professional cares for backyards and open outdoor areas. Use our services to make your house and other property look good from its outside. If you need effective and well trimming of the grass areas around your house, get in touch with us. Our gardeners can help you prepare your lawn for your garden party or keep it in perfect condition regularly. We guarantee the quality of our services that are some of the best in London. 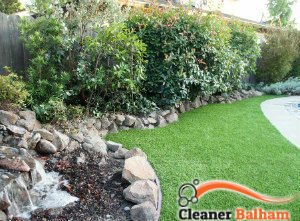 Our gardening specialists will inspect your lawn and send you a free quote. They will remove the weeds and moss they find in it and check the area for any signs of diseases. We provide professional and affordable lawn mowing services in Balham appropriate to be used in domestic and commercial estates. The best way to ensure good cares for your lawn and grass is to use the services of the professionals who work in our company. They will offer you free expert advice, professional work and exceptional results of it. Get in touch with our gardeners who operate in the SW12 area to book your lawn mowing and have perfectly trimmed and maintained green areas. Our company works seven days in the week and can help you keep your garden in great condition.